Limerick Community Park is located in Limerick, Pennsylvania. The park is about a 20 minute drive northwest from King of Prussia. It is close to Pottstown. The 70-acre park has the typical park staples including basketball courts, baseball fields, and pavilions. 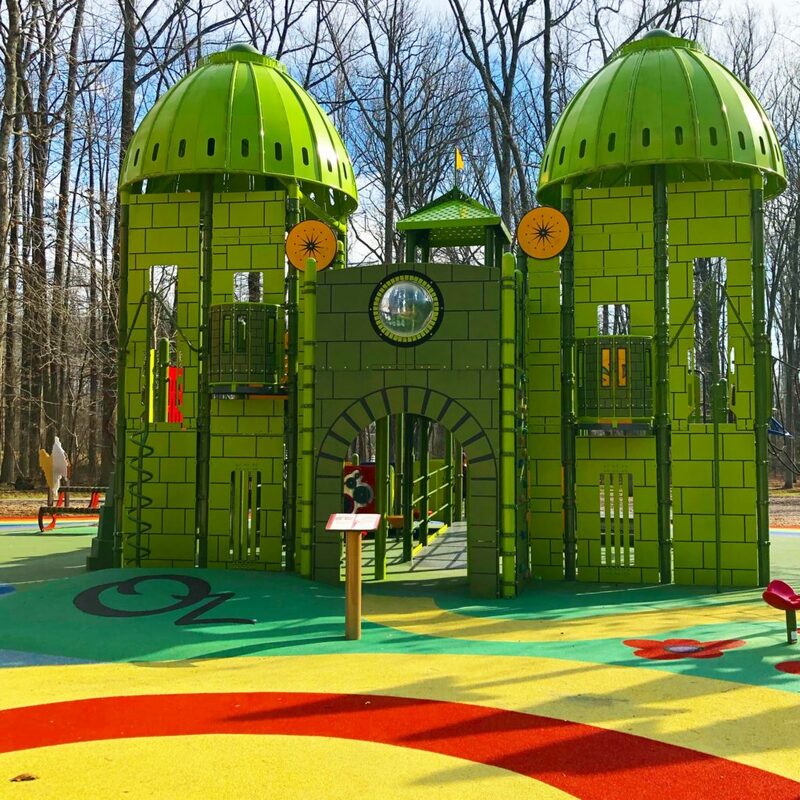 However, it’s the Manderach Memorial Playground that is the main attraction for children. The playground’s main attractions it is the main tower which has two gigantic tube slides attached to it. Keep in mind that the pathway up to the tower and the slides is not normal steps. It is more of a ramp with slats every foot or so, which makes it a bit harder for small children to climb. However, my two year old was able to navigate the ramp without too much trouble. The playground fun includes more than just the gigantic slides, though. There’s also a two castle play sets of different sizes for different age children. 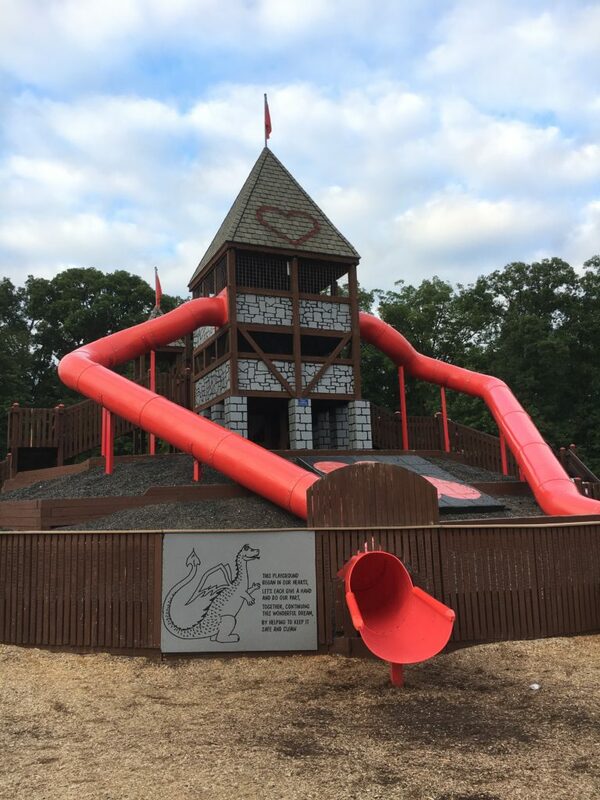 My kids also enjoyed the dragon which kids can climb. Restrooms are right outside the playground area. This makes them very convenient for children who are potty training. Keep in mind that Manderach Memorial Playground is closed on the 1st Monday of each month from 7 a.m. – 2 p.m. for inspections and maintenance. The Playground is closed between November and April for the winter.